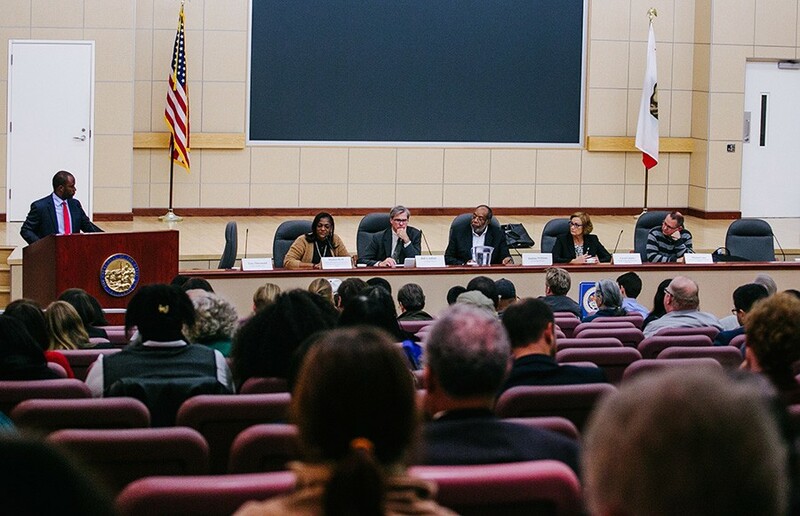 More than 100 East Bay civil servants, community activists and residents gathered to address the lack of affordable housing options in the region at a town hall meeting in Oakland on Thursday night. 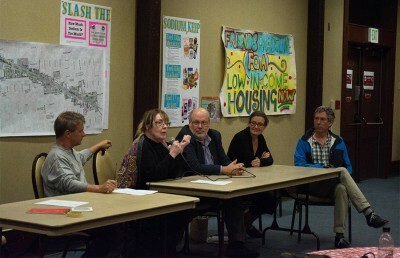 Organized by Assemblymember Tony Thurmond, D-Richmond — whose constituency includes the city of Berkeley — the meeting consisted of a series of panel conversations that sought to identify the policies and funding streams needed to address the dwindling supply of affordable housing in the region, prior to a question-and-answer session. In addition to the ideas discussed during the meeting, Thurmond plans to survey responses collected after the meeting to inform the drafting of housing-related bills that he will introduce in the state Assembly this term. 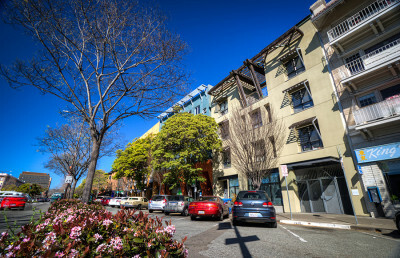 Despite the absence of consensus on potential solutions, there was widespread agreement among those in attendance that the current dearth of affordable housing in the East Bay is not just a policy problem but a regional crisis. Panel member Michael Lane, policy director of the Non-Profit Housing Association of Northern California, said that the crisis has been exacerbated by a decrease in statewide funding. According to Lane, the recent passage of San Francisco’s Proposition A will mean that one city provides more money for affordable housing than the entire state government of California. Three Berkeley City Council members and Rent Stabilization Board commissioners represented the city at the meeting. They all corroborated Thurmond’s assessment and noted a particularly bleak outlook for low-income residents of Berkeley. The solutions offered by the panel were as varied as the panelists’ backgrounds. Panelists included Bill Lindsay, Richmond’s city manager; Junious Williams, CEO of the nonprofit Urban Strategies Council; and Carol Galante, a former assistant secretary of the federal Department of Housing and Urban Development and current UC Berkeley professor. Some solutions proposed, such as increasing the impact fees levied on building developers, were quite popular among the audience. Acknowledging others that were not, such as adding an annual tax to cable subscriptions to fund affordable housing, Thurmond requested at the onset that the audience members “boo quietly” if they wished to. It was Williams’ willingness to address the effects of what Thurmond termed a “third-rail issue” of California politics, however, that drew the most encouraging response from the audience. Williams suggested attempting to revise Proposition 13, a 1978 ballot initiative that limits the direct tax that can be assessed on any property. Reforming the proposition has many advocates with differing political agendas. Former UC Berkeley chancellor Robert Birgeneau recently wrote an op-ed piece arguing that additional revenue from the measure would fund public education institutions in the state. Though Berkeley Rent Board Commissioner Paola Laverde also noted the importance of addressing Prop. 13, she said she believes that the most effective course of action to protect Berkeley residents is to ensure that local rent stabilization laws and housing agencies remain independent. “The event was a great start to a very challenging conversation,” said rent board Commissioner Paola Laverde, adding that she hopes the city can come up with novel solutions to protect renters. Taking into account the many suggestions offered at the town hall meeting, Worthington will convene a special work session on Dec. 1 prior to the City Council meeting, where he hopes to put forth concrete proposals to provide more affordable housing to Berkeley residents. Ishaan Srivastava is the lead academics and administration reporter. Contact him at [email protected] and follow him on Twitter at @ishaansriv.